Tretchikoff’s ‘Green Lady’ Reimagined for 2019 by London Artist Mark Denton Esq. The classic kitsch starter print, Tretchikoff’s ‘Chinese Girl’ AKA ‘The Green Lady’ has been reimagined by London-based artist Mark Denton Esq. 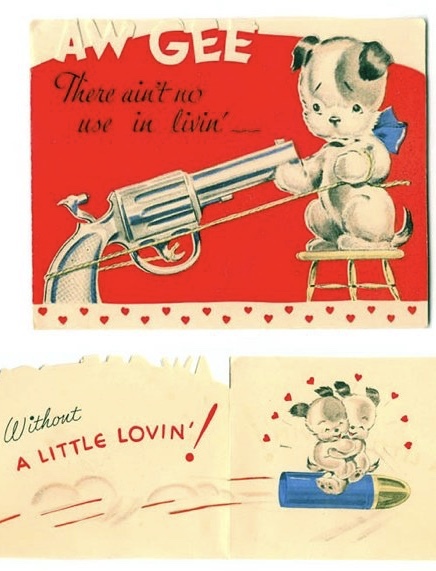 The original painting from 1952 should be familiar for most people, even non-retro obsessed folks, as the artwork was mass produced and became literally one of the best-selling prints of the 20th century. Everyone had a granny or auntie, or neighbour who had The Green Lady, or a sultry gypsy girl print by JH Lynch. Mark Denton Esq. 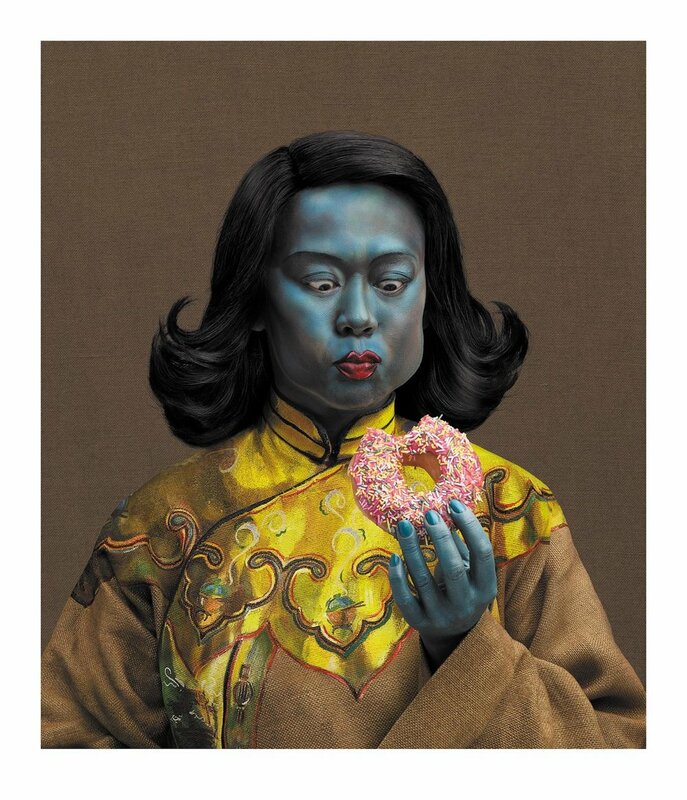 has given Tretchikoff’s Chinese Girl a quirky refresh. I wish I could give more of an art analysis, but that’s not my bag. A little more about Mark from the Jealous Gallery site where his work is hosted- After studying graphic design and an unglamorous start as a paste-up artist on the magazine ‘Knitter’s Digest’, Denton secured a job as an assistant typographer and visualiser at the London office of American advertising agency, Leo Burnett. In less than a decade, Mark found himself as Creative Director of his own agency and one of the most awarded Art Directors in the world. The following years saw a foray into directing commercials and a return to his first love, graphic design. Forever seeking new forms of self-expression, Mark kept busy designing everything in his world. Clothes, jewellery, wallpaper, furniture, the labels on his tins of beans; nothing was spared his artists eye. His designs have been exhibited across the globe, notably at ‘The Power of the Poster’ exhibition at the V&A and as a ‘living exhibit’ under the name of Nobby Bottomshuffle (one of his many alter-egos) at the National Football Museum. You can find Mark Denton Esq.’s Green Ladies of 2019 at Jealous Gallery, based in London, who have an online store. Hurn & Hurn have a wealth of faux taxidermy. 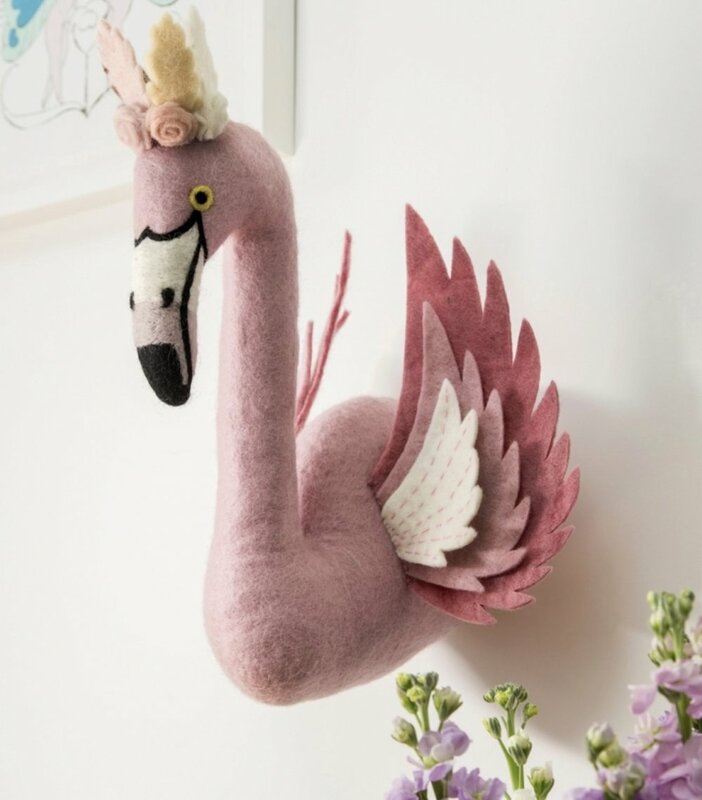 There are sculpted felt animal heads which would look lovely in a nursery, as well as a menagerie of beasties bonces made into wall-mountable vases. I found a bargain I couldn’t resist, a Hurn & Hurn Discoveries Ram half price for £26, I had to buy it. You can see it just below, and you can click any image to enlarge for detail. There are lots of other bargains, and there appears to be 5% off site wide today using the code FLASH5 . 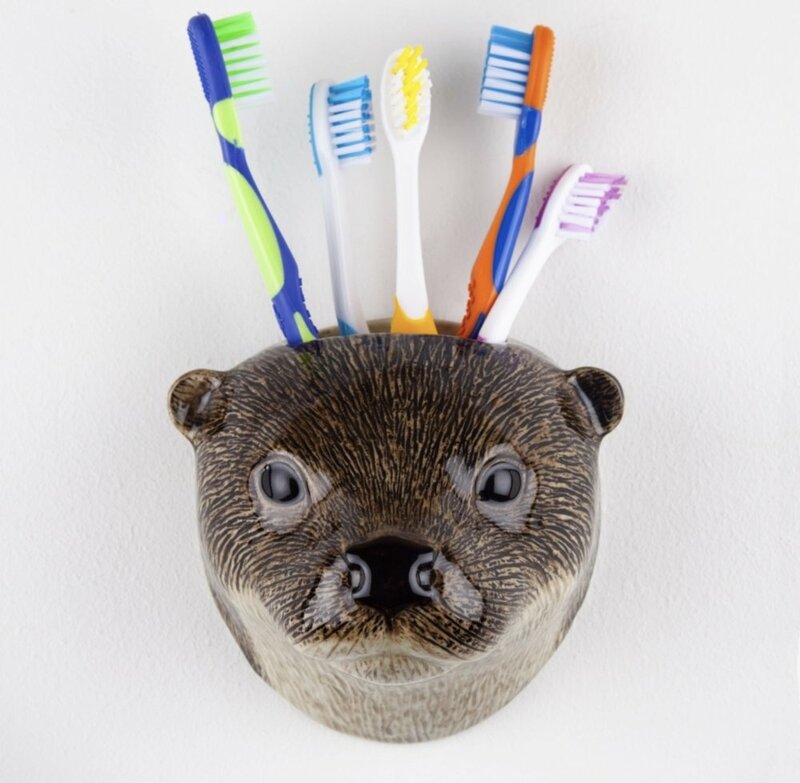 The site has homewares and gifts, and many quirky treats as well as stylish designs. 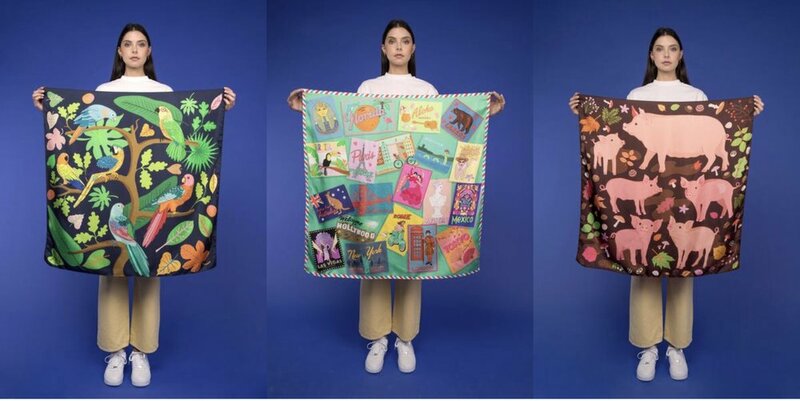 World of Kitsch readers will recognise the name already, as every season I love to share the fresh designs from the talented, young, Scottish designer Karen Mabon who’s silk scarves I just adore. The new Spring Summer 2019 Collection doesn’t disappoint, with Karen’s unique style playing out through themes as diverse as the golden age of travel, marathon training, and dog weddings! 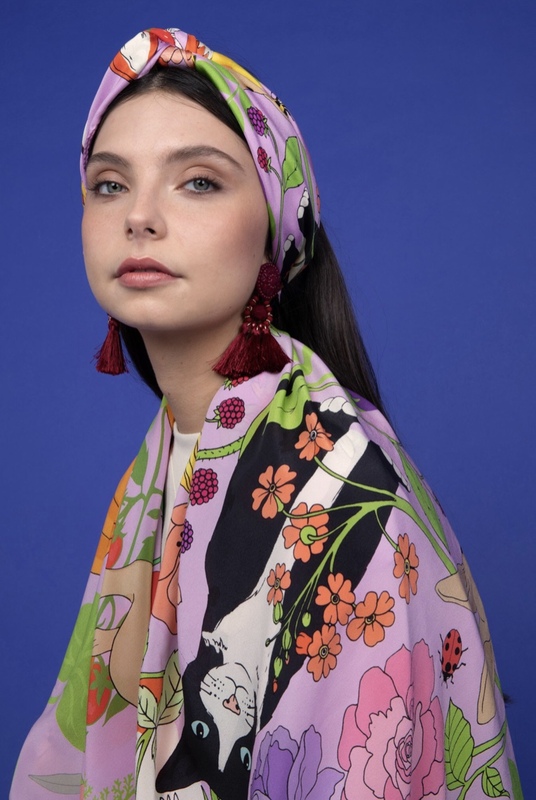 I think it’s the rich colour palettes Karen Mabon uses, combined with the luxury of the 100% Italian silk used for the scarves which make them so distinctive. The designs are drawn by hand in Karen’s London studio, and then made with love in Lake Como, Italy. You can shop the collection now, and shipping is free. 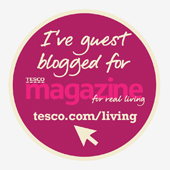 It’s also worthwhile following Karen’s Instagram for peeks at future collections and designs. You may be a cat person. You may be a dog person. Are you enough of a cat or dog person however to ever consider wallpaper themed after your furry friend? Without seeing a photograph of that product, your immediate reaction would probably be, of course not, no, that sounds like a kitsch nightmare from the 1970s’ or 1980s’. These wallpapers by MuralsWallpaper however are kept in quite a sleek design with each print focusing on one tone from the colour palette, and simple, clean outline drawings of the cats and dogs. The papers would work really nicely as a kitchen or utility room feature wall for sure. These murals offer a tasteful surface design option that allows everyone to incorporate cat and dog wallpaper into a room and not have to sacrifice the stylish, modern look of the home. Pair the pet murals with beds, scratch posts, food bowls and toys to fully furnish a pet's very own space in the home to sleep, play and eat. Prices start at £30 per square for this range, and the rest of the MuralsWallpaper site has a vast range of interesting prints to choose from including photorealistic murals. Fellow 80s’ child. How many times have you watched 17%-Rotten-Tomato-scored movie ‘Masters of the Universe? The 1987 box office classic starring Dolph Lundgren as He-Man, a pre-Friends Courteney Cox as random Earth Teenager, and Frank Langella in what should have been an Oscar nominated role as the whole entire production carrying Skeletor. Well, my brother and I watched Masters of the Universe quite a lot. When I say quite a lot, I would estimate more than fifty times. At least enough times that on a Sunday afternoon we would sometimes go into our Gran’s back garden and recite Skeletor’s dramatic monologue from the final act from memory. My brother texted me last night with the news that figures from the movie are being made, they have just been revealed at a toy fair. You can watch a video by Pixel Dan about them here. There are four figures (the fourth is Karg), modelled on the original 1987 William Stout production art, with the faces based on the actors from the final movie. You can pre-order on the Super7 site with the set of four figures coming in at $140. It’s fairly pricy, but each has to be handmade, which is why it costs so much more than regular figures. If you aren’t enough of a MOTU super fan to spend that kind of money on figures, but want to show your love, Super7 still has some fun merch at lower prices which you can shop here. There are t-shirts for $30, cute blind boxes with He-Man and She-Ra figures for $4, and drinking glasses with the classic figurines printed on them. There are also a selection of reproduction classic figures on the old 80s’ style packing for $15 each, so some reasonably priced things to choose from apart from the $140 set of movie figures! 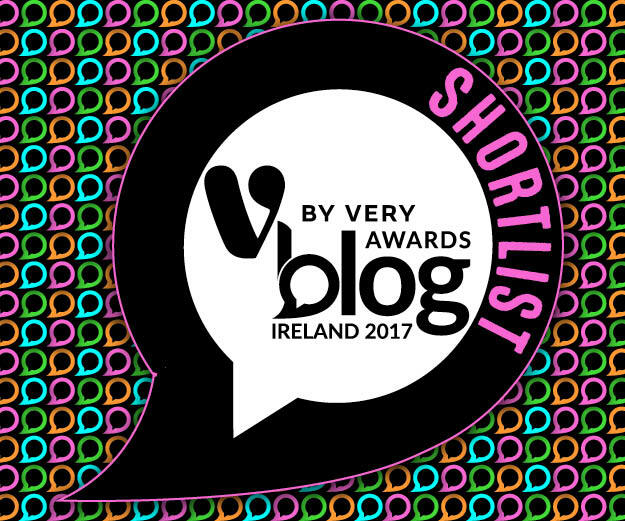 Thanks to my brother for the tip off for this blog, and help with the info. Samyang Ramen Fire Noodle... Make-Up Line? I am a Samyang noodle addict. The super hot ramen noodles are famous on the web after becoming a viral trend on YouTube for mukbang uploaders and regular vloggers alike to try and finish a bowl of their deadly hot tastiness. They come in more than half a dozen varieties, hot, double hot, cheese, carbonara and even a version you serve ice cold, but my favourite is the gold pack with a classic curry twist. I get my Samyang noodle supplies right here in Belfast, from Lee Foods Oriental Supermarket. They have a huge range of ramen noodles of all varieties. Imagine my surprise however when one afternoon online I stumbled upon a Samyang Noodle make-up line. South Korean’s quirky and innovative brand TonyMoly had partnered with Samyang to release a range of very cool make-up, including foundation, lip tints and blusher, all based on my favourite spicy hot noodles. I had to buy something from the range for the packaging alone, a foundation compact that came in a ramen noodle cup. The press-foundation compact comes with a refill too, which is in the ‘sauce’ pouch. I just love that the chicken mascot is printed on the pad. TonyMoly can be found in the U.K. at Cult Beauty, but they don’t stock the Samyang range, as it’s an older line. You’ll need to shop around places like eBay, where I picked up mine for around a tenner. February 19th 2019, and we have just heard that fashion legend Karl Lagerfeld has died after a recent period of illness. He was a name known to the likes of myself, who has a passing interest in fashion but certainly couldn’t name you the heads of most fashion houses, and probably would get stuck half way through being challenged to even name ten such fashion houses themselves. Karl was the creative director and head of design at Chanel, another household name for even us high-street label wearing types. His iconic trademark look in his later years of swept back silver ponytail and sleek dark shades is as legendary as Anna Wintour’s bob. Another ‘trademark’ of Karl in the last decade would be his love affair with a little white cat called Choupette. Given to Mr Lagerfeld as a Christmas gift in 2011, he fell so in love with his furry companion that he claimed in a 2013 interview with CNN that he wished he could marry her, saying, “There is no marriage yet for human beings and animals.. I never thought I would fall in love like this with a cat”. Whilst the famous handbag might be the most lusted item from Chanel, being a crazy cat lady myself, I think I would love a Choupette.